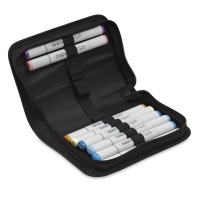 Organize, store, and transport your Copic Original, Copic Sketch, and Copic Ciao markers in these sturdy 600 Denier wallets from Imagination International. Zipper Pouch — Designed to fit inside a pocket or purse, this pouch holds markers and other supplies for class or work. 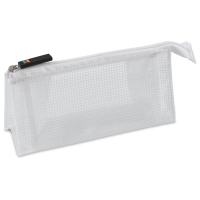 Made from sturdy 600 Denier vinyl mesh, it features a wide gusset and a zipper closure. Mini Wallet — This book-style wallet holds up to 13 markers. 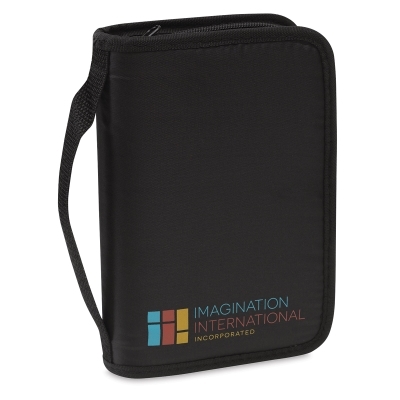 It features a zipper closure and carrying handle.